The beginning of the following ay is full of energy and sunny. Let the RISER Adventure Navigator search a route for you and the app finds a winding itinerary for me – it’s exciting every time you start out in an area you don’t know! The trip mostly takes me along small, low-traffic roads through the mountain landscape in the centre of the island. The few villages are quaint and not very lively, in many places you can find the typical Sardinian murals, often old people sit at the roadside, enjoy the sunshine and watch the traffic. 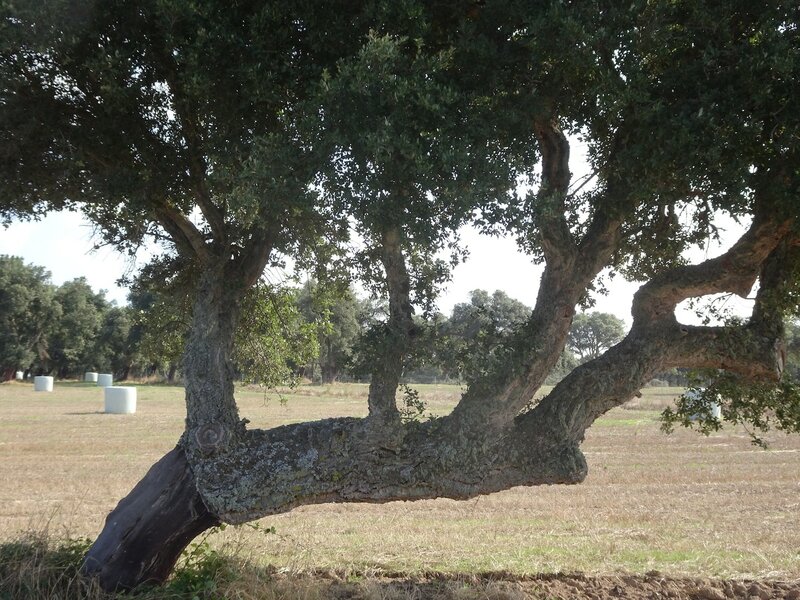 Cork oak forests and striking rocks dominate the area. From time to time there are blackberry hedges or fig trees with bulging, ripe fruits. It is all in all a very decelerated, archaic area and way of life, exactly the right thing for all who want to switch off and experience the curvy roads in picturesque landscape. In Sardinia, you feel a little transported back in time: There is no real motorway and the public transport is more bad than right… everything is slower than one usually knows it. 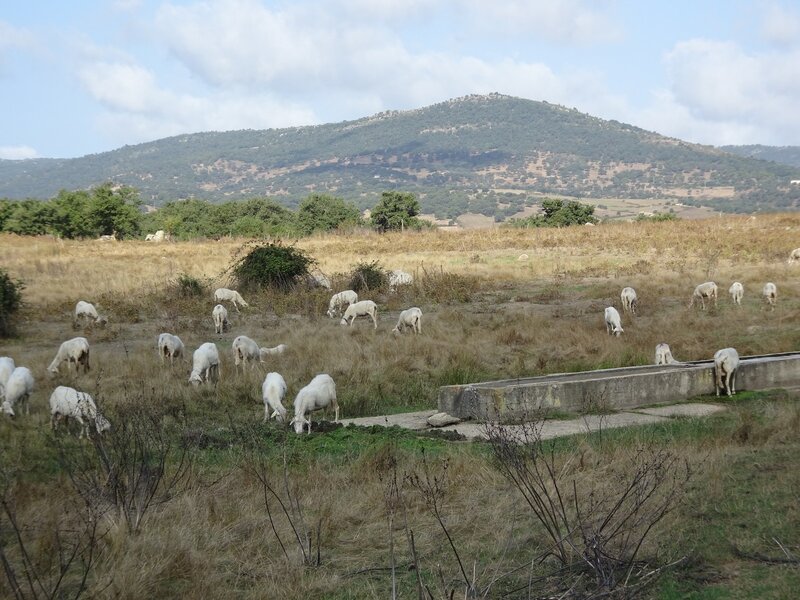 Especially in the interior, one experiences Sardinia as it really is: In the valleys, grain grows or cows, sheep and goats graze. The brooks flow sluggishly in wide beds that testify to the force the water can have when it really rains here. 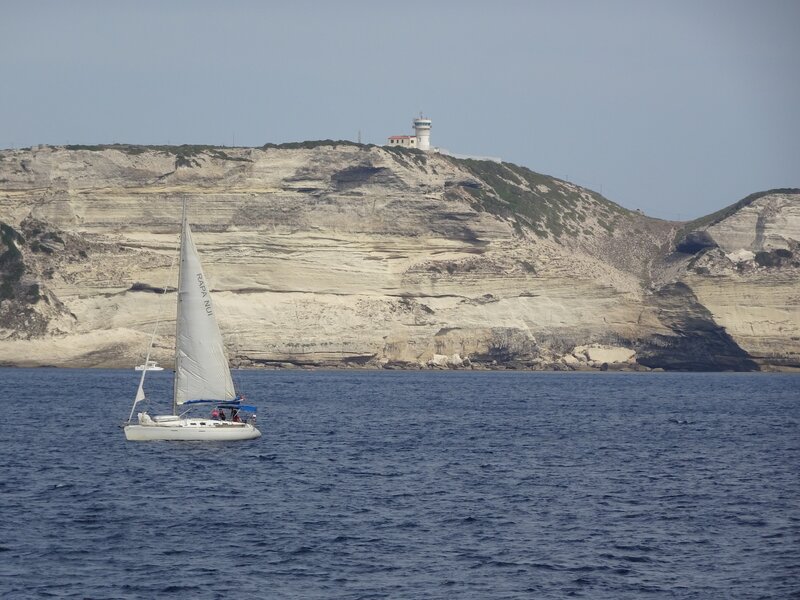 The south of the island, I was told, is flatter especially in the area of Cagliari, the villages are bigger, the traffic more lively. There is a lot to discover, you drive past salt lagoons and flamingos… But before I get there, I still want to have a look at the north of the island …. I leave Villasimius before breakfast. The weather is doubtful, but still dry. I follow the coast as far as I can. Quickly I leave the main road and follow small roads to Costa Rei. Again and again, there are branches off to beaches that are worth exploring. 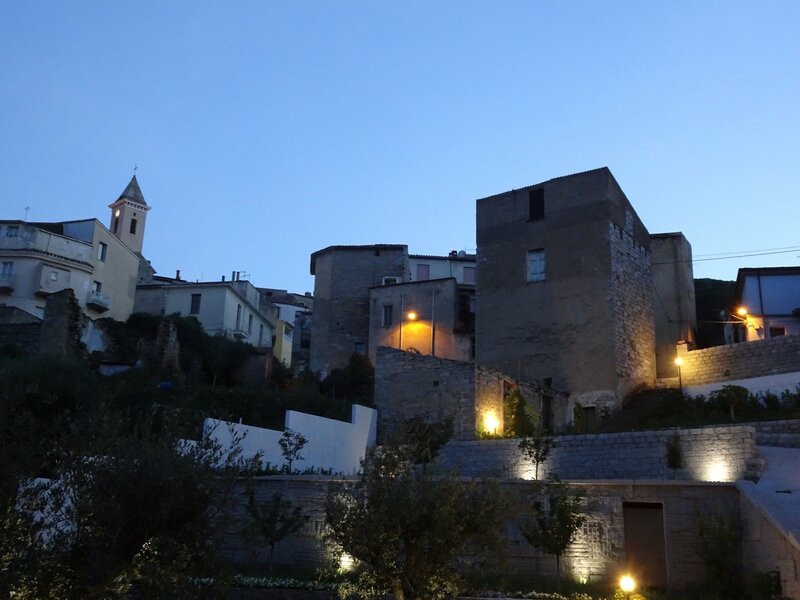 In Capoferrato the road turns away from the sea and goes up a small hill. Up here there is a wonderful view of the surroundings. The view goes far beyond the next bay and the sea. For the next few kilometres I follow a dirt road and then I reach the delta of the Foxi Gonata with its lagoons. Here cows graze on the road and reeds grow high above the road and turn it into a tunnel. Now I have to go back on the highway because the Fiumendosa has no bridges closer to the sea. I follow the road north to Villaputzu and Tertenia. 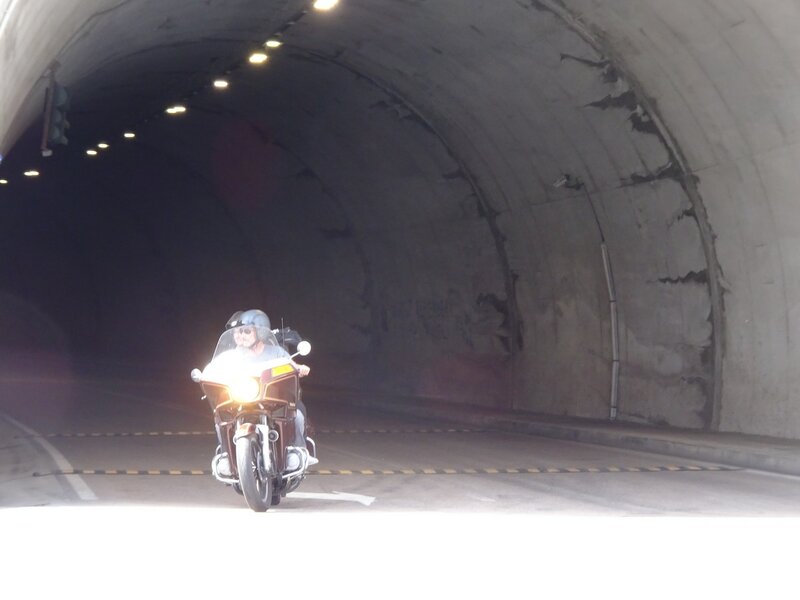 Then I leave the Strada Orientale Sarda (SS125) again and let the Navi lead me into the mountains. On the left side of the valley I follow the Riu Pardu and enjoy the view of the villages opposite: Jerzu, Ulassai and Osini. The way to Arbatax leads over many beautiful, fast curves to the sea. 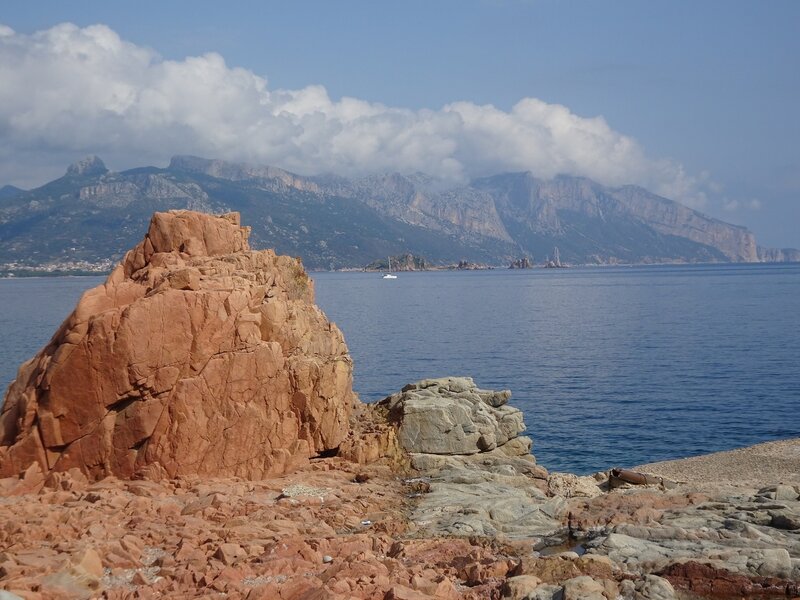 The village is a bit disappointing, the highlight are the red cliffs on the coast. The port, although ferry terminal, is small and little bustling. About the city is known as a starting point for motorcycle tourists who want to explore the mountains. On the same way that I had come, I drive again into the mountains. 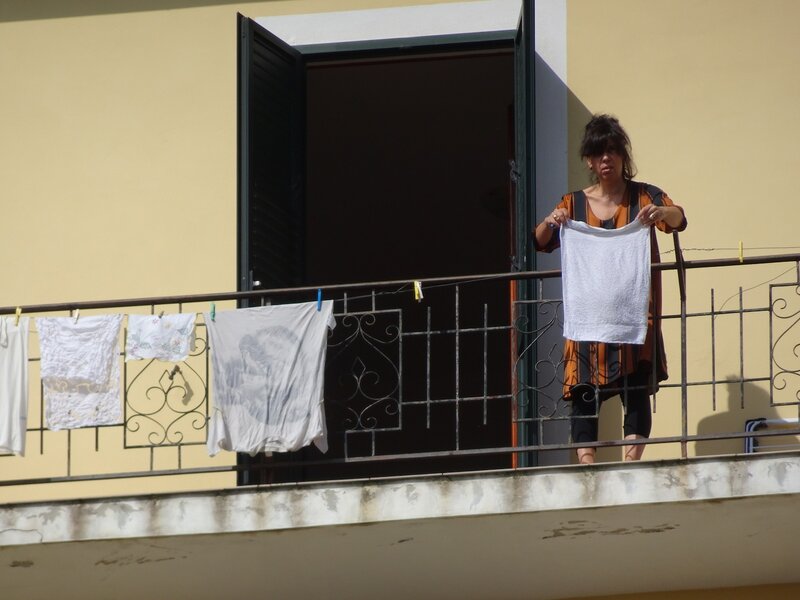 In Lanussei I leave the familiar behind and drive inland. From Azana I have the last view to the sea. What follows is something like a mountain hike: The narrow road winds along the slopes. There are wonderful views of the wide mountain landscape and striking mountain peaks. Cows and goats watch my ride. After a good hour I reach Seui and again the main road, afterwards the journey was varied on wide, well developed roads back to the coast and to the starting point. 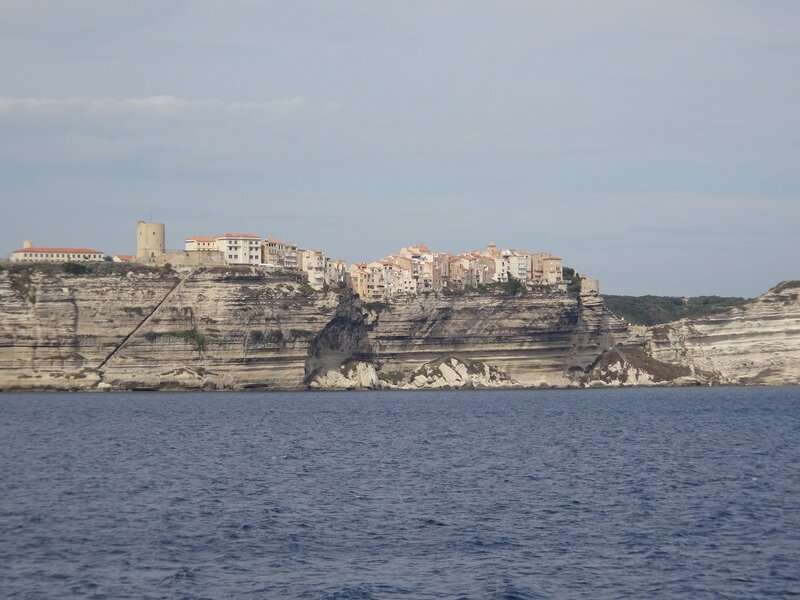 I g north – tomorrow I want to take the ferry to Corsica. So I cross the island a second time. 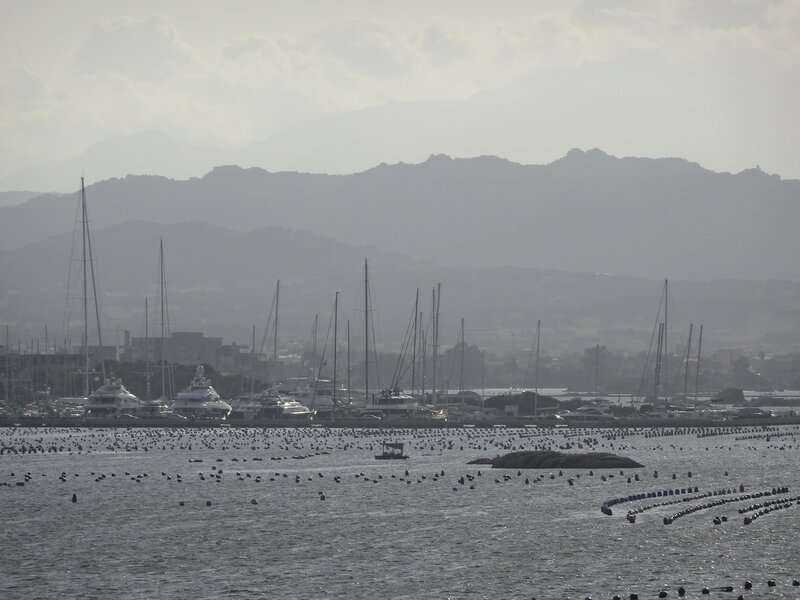 But first I follow the south coast behind Cagliari along the salt lagoons with their many flamingos. After a short stretch I leave the coast and drive over a small pass to Teulada. Zuerst jedoch folge ich der Südküste hinter Cagliari entlang der Salzlagunen mit ihren vielen Flamingos. Nach einem kurzen Stück verlasse ich die Küste und fahre über einen kleinen Pass nach Teulada. Then I turn north. Slowly the petrol runs out; I should take care of a gas station. On the country lanes, on which I am at the moment on the way, there is surely nothing. So off on a bigger road. After a few kilometres I find a station. There is diesel, but no petrol! The next gas station is 15 km away as the crow flies, that’s 22 km of the road. The fuel gauge still shows fuel for 20 km! I drive on, fuel-sparing, the view always on the fuel gauge. After 15 km the display disappears – empty – but it still drives! When the petrol station in Siliqua comes into sight, the engine is still spinning. I refuel with 21.65 litres, but the tank only offers space for 21.5 litres. Well, with a full tank I can go back to the smaller roads. But first I cross the plain of Campidano. In one of the small villages I see a procession from far away. By the time I have found a corner to park my motorcycle, they have already disappeared around the corner and I am obviously waiting in the wrong place, it remains disappeared and I only have the few pictures in my head that I caught while driving by: the statues of saints, a few decorated cows and oxen and the women in the Sardinian national costume. Soon I return to the dry hilly landscape. Cereals grow in the valleys, fig trees stand by the roadside, blackberries grow on fences and stone walls, and cows, sheep and goats graze on the pastures between cork oaks and large boulders. Where the mountains get higher, a dark fir forest grows and the villages stick under the rocks. In the valleys, thin rivulets flow in the wide streambeds, testifying to the power of the water. Dams hold back the water for the irrigation of the fields. Towards evening I reach Tempio Pausinia. At the station the old steam blocks rust before itself. Most of the lines are no longer in operation, only trains are supposed to go to the coast from here. The town is situated on a hill in the woods. ‘My’B&B is the B&B Camera & Caffe and is located in the city. The landlady speaks German very well. The room is small, but has everything: shower, air conditioning, electricity – that’s enough for me. Downstairs in the house is a pizzeria, which I visit and leave satisfied and full again. In the B&B Camera & Caffe I get a wonderful breakfast. There are four or five cakes on the table, coffee, orange juice, muesli and meat, different kinds of bread, jam, cheese and honey. I eat plenty and then set off on my way. First I want to go back to the station. The old trains that are rusting away have impressed me and they deserve some more attention. 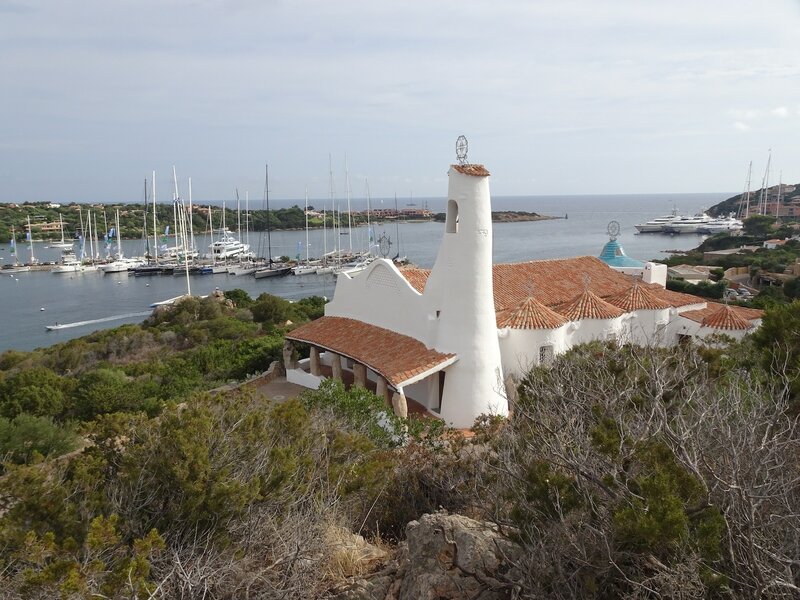 Then I drive to Porto Cervo, the heart of the Costa Smeralda. Here in the harbour are the big yachts and on the shore the expensive hotels. I follow the coastal road to Palau in the east. The views to the bays and beaches are wonderful, the road is winding and there is very little traffic. Only in the coastal towns e.g. Cannigione the cars are jammed in the shopping street. From Palau I can see the ferries that connect the offshore islands with the small port city. There is also a lot of other shipping traffic here. 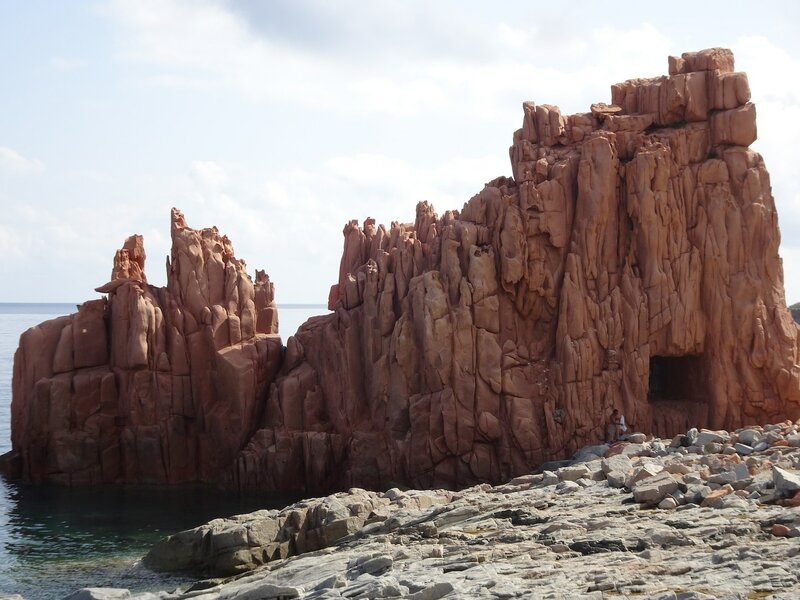 Soon I make my way to Santa Teresa Gallura. On the way I take a break at the small harbour of Porto Pozzo. 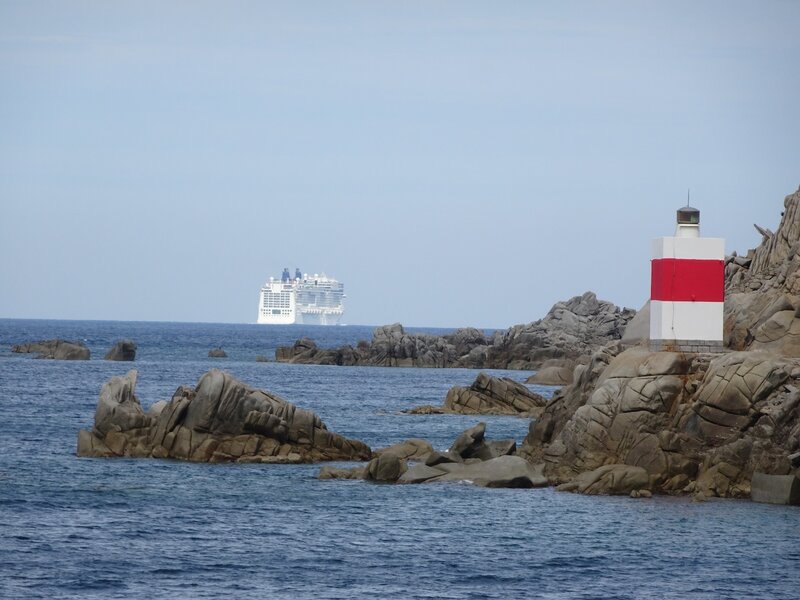 Here, the first ships for the winter are taken out of the water and the fine sandy beach is already deserted. Only in the restaurant there are still guests sitting and enjoying the sun. More about the tour and the routes can be found on RISER App in the profile of ‘Andreas Sommer’. Get in touch with RISER AMBASSADOR Andreas and get inspired by his motorcycle adventures!